Cisselon Nichols Hurd currently serves as Senior Litigation Counsel for Shell Oil Company in Houston, Texas, where she handles environmental litigation. 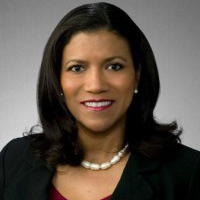 Prior to joining Shell, she served as Senior Counsel at ConocoPhillips, formerly Conoco Inc., where she managed mass toxic tort litigation matters. Ms. Hurd also previously served in a variety of governmental positions in the U.S. Virgin Islands including Counsel to the Attorney General and Assistant Attorney General for Environmental Enforcement. Prior to her work in the Virgin Islands, Ms. Hurd clerked for U.S. Magistrate Judge Harry W. McKee in the Eastern District of Texas. She also worked at the U.S. Department of Justice in the Attorney General’s Honors Program as a Trial Attorney in the Environment and Natural Resources Division and as an Assistant United States Attorney in the Eastern District of Texas where she prosecuted environmental crimes. Ms. Hurd obtained her B.A. and B.S. degrees from the University of Texas at Austin. She also received her law degree from the University of Texas.